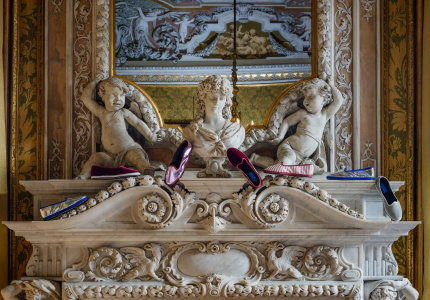 Founded by a former Harper’s Bazaar fashion editor, this luxury label has recently received one of the fashion industry’s most respected plaudits. The woman pulling the strings sits down to discuss being driven by stories rather than trends. It was an old photograph of a Moroccan woman that inspired an entire collection for Marina Afonina’s fashion label, Albus Lumen. Afonina has recently attracted attention with her luxury resort wear. Each collection starts with a story or an image, which is then filled in with shapes, tones and fabrics that slot like pieces into a puzzle. Collecting pieces from Albus Lumen can feel like collecting books; putting on each garment is like being transported to different locations – from Morocco to Greece. It’s one of the few local labels to lead the resort-wear category, but even though the clothes all have an element of freshness and breeze about them, there’s also an undercurrent of nostalgia – like looking at an old photograph. The timelessness and universality of Afonina’s designs has likely contributed to the label’s quick success. Founded in Sydney in November 2015, the label debuted at Sydney Fashion Week just six months later in May 2016, and was picked up by British luxury retailer Matches Fashion straight away. 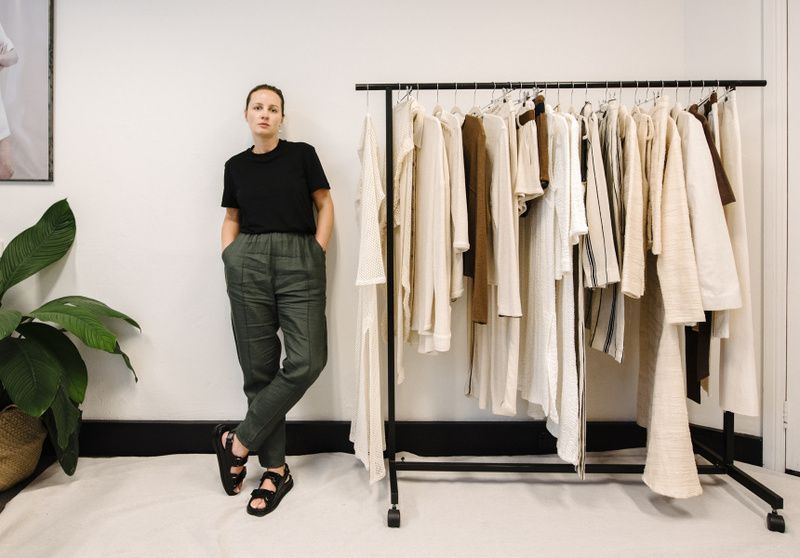 Since then, Albus Lumen has secured online retailer Net-A-Porter, done several more fashion weeks and, just last month, won one of the fashion industry’s most prestigious awards: the Best Emerging Designer Award at the Australian Fashion Laureate. The label was also selected to compete in the 2018/2019 International Woolmark Prize global final in London next year. After graduating from a degree in commerce, Afonina started out as an intern at Harper’s Bazaar at age 25. 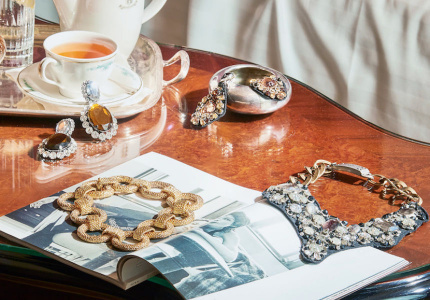 Within six years, she was the magazine’s fashion editor. What finally pushed Afonina into design was a trip to Europe. Rather than what she discovered there, she was inspired by what was missing. Albus Lumen started with a fine yet minimal selection of linens and silks in a milky, fresh palette of neutrals. 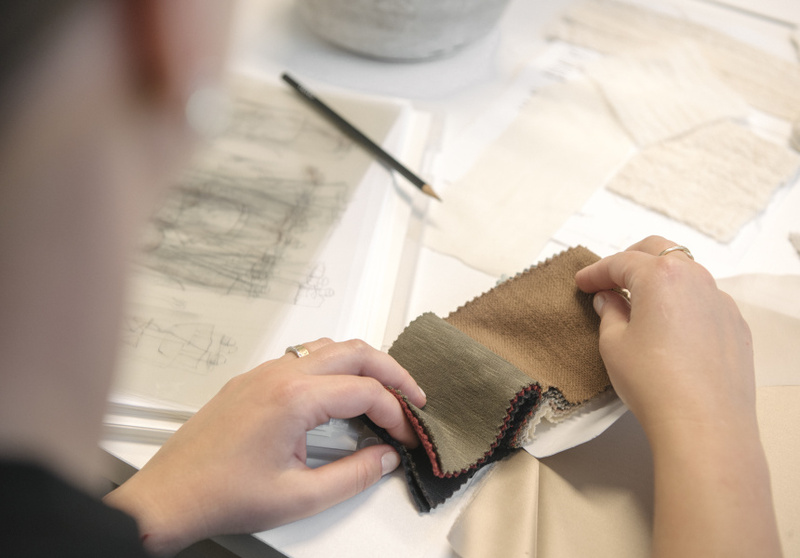 Over the years, it has expanded to incorporate other natural fibres (“we don’t do synthetic”) such as wool, more tailored elements and more colour. For instance, the autumn/winter 2018 collection – inspired by the ceramic tiles of Pablo Picasso and the personal style of his daughter, Paloma – travels from midnight-black jersey dresses, to sky-blue cotton-gauze pants, with thoughtful details such as leopard-print shell buttons. Although each collection is driven by a different country as its theme, there is a sense of the global throughout. The fabrics are from far and wide; Afonina scours countries including Japan, New Zealand, Spain, Korea, Portugal and Italy to find the highest-quality materials, depending on what the latest collection calls for. Albus Lumen does not come cheap – pieces start at around $400 for a top and stretch to well over $1000 for evening gowns – but because of the pieces’ collectible quality and ability to move between living room and superyacht, the label has followers from the age of 20 to 60. Her mission is to create something for everyone in each collection; the starting point for an idea may be borne of specificity, but Afonina’s gift is being able to pare that back into something of timeless beauty, underpinned with elegant detail.